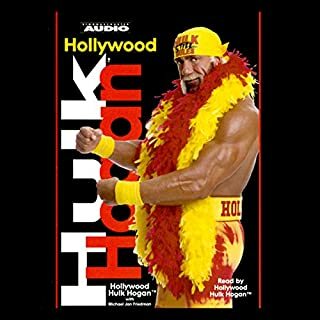 You think you know Hollywood Hulk Hogan? Think again. 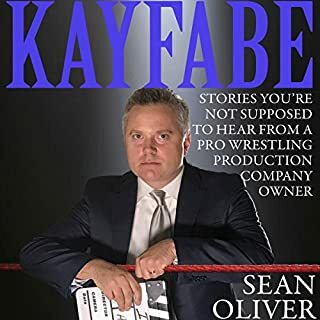 Listen to this and you'll learn how a fat kid named Terry Bollea grew up to help revolutionize the sport-as-entertainment industry. Along the way, lock up with the likes of Mr. T, Ted Turner, The Rock...and of course, Vince McMahon, head of World Wrestling Entertainment. 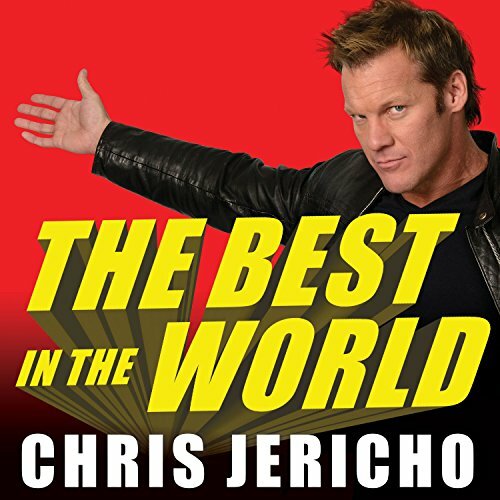 World Wrestling Entertainment has named Chris Jericho one of the top 10 wrestlers - and one of the top five talkers - of all time. Certainly, the past six years have been spectacular for Jericho. After a sluggish return from his 2005 sabbatical, Jericho found new inspiration in watching No Country for Old Men. and completely reinvented his character - ultimately going on to capture three world WWE titles. Would you consider the audio edition of The Best in the World to be better than the print version? Yes because I only had to listen. What other book might you compare The Best in the World to and why? Mick Foley's books. They are very similar in humor and story telling. I did listen in one sitting and enjoyed it immensely. Drinking orange juice while listening to tales of a wrestler's trunks coming off mid-match can be painful to your sinuses. 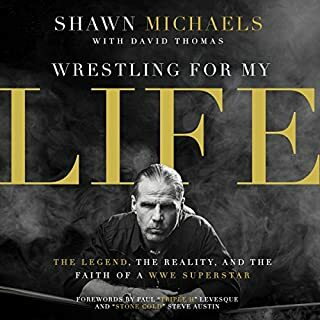 Good book for the wrestling fan. Lots of good stuff from one of the greatest ever. But some of the routine out-of-the-ring antics of "The Best in the World at What He Does" really shines a light on why he makes such a great on-camera villain. This was better than I expected it to be. I laughed out loud more times than I expected and had a grin on my face almost constantly while listening. Thanks to Chris and Roger for the entertaining time. Loved this book!! Narrator was top notch, much like the Author and subject!! Fantastic read, will definitely be reading over again!! Y2J 4Life!! Chris has definitely crammed a lot into his life. 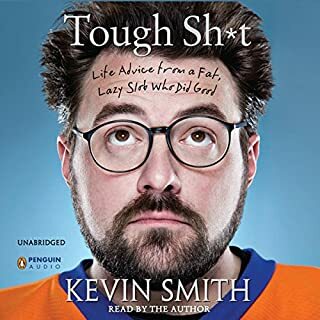 His ability to tell his stories makes listening to this book so enjoyable to listen to it over and over again. It's like sitting with a buddy listening to him tell the same stories again and again and loving them as much as the first time you heard it. Great job Chris! Great listen! Very entertaining, recommend!! 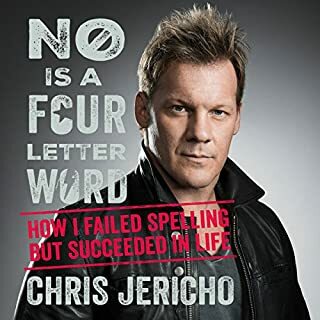 You don’t even have to be a Jericho fan to appreciate these great stories. The book is as if we are sitting in a room together just talking. Amazing story teller. Another amazing Story from one of the GOATS of pro wrestling. Drink it in Man! 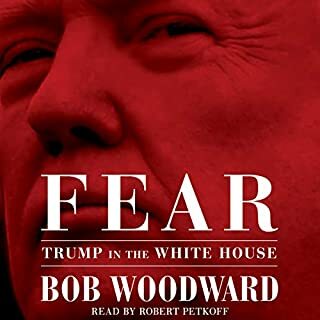 Great book and well narrated. 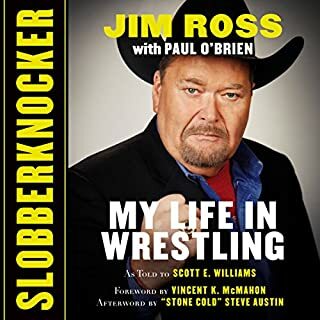 There are scant few wrestler autobiographies available in audiobook format and fewer still where the subject doesn't rely completely on a ghostwriter, making it that much more of a treat this one exists to give a listen. 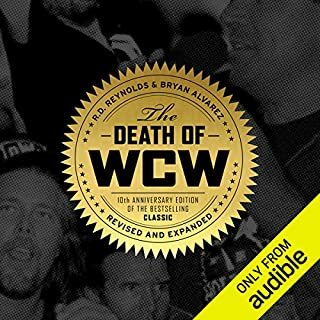 It's on par with Jericho's previous books and although not narrated by Chris, Roger Wayne does a great job with the narration. A few very minor mispronunciations aside you'll enjoy listening to him for 12 hours. I even scoped out what else he narrated because I enjoyed his style. 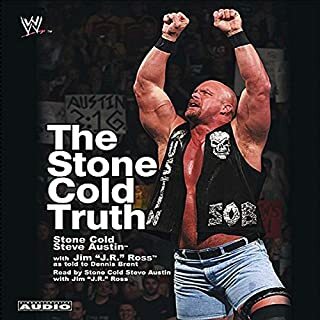 So, YEAH BOY, this goes on my short list of must own wrestling audiobooks.